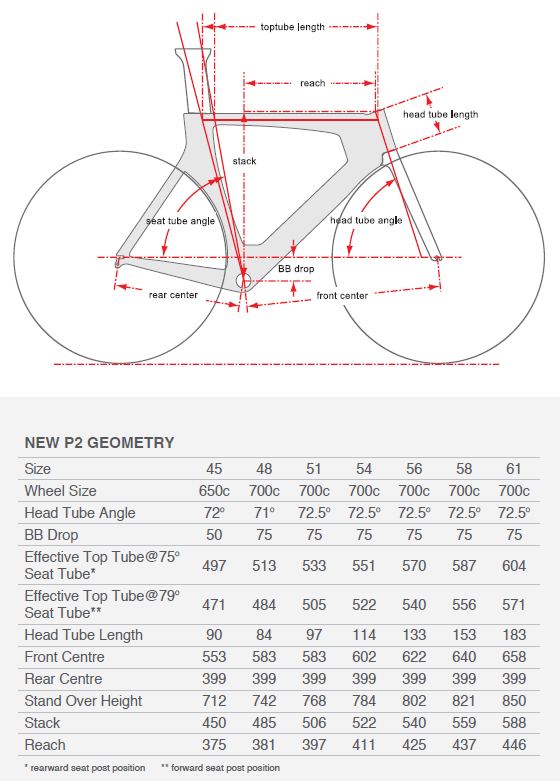 The P2 delivers aerodynamics, stiffness and handling that rival bikes at significantly higher price points. The classic P2 became a triathlon icon by putting “superbike” performance within reach of virtually any serious athlete from beginner to professional. Now after seven years and two Ironman World Champion victories, Cervélo engineers have created a worthy successor. The new P2 is more rider-friendly than ever, with a wide range of fit options to get you set up quickly and dialed for maximum results from the first pedal stroke. Hydration and nutrition options are intuitive and accessible. And when you are ready to upgrade equipment, the new P2 is fully compatible with mechanical, hydraulic or electronic components so it can grow along with your ability. A close-fitting curve in the seat tube trailing edge shields the leading edge and top of the rear wheel significantly improving aerodynamics. Future-Proof Cable Management ensures your frame is compatible with all current and future derailleur and brake systems. Positioning the down tube perfectly saves drag on the system by taking into account the interaction between the front wheel and the frame. Hiding the rear brake from the wind, not from the mechanic. Properly formed seat stays hide the brake and improve air flow over the caliper. BBright increases system stiffness and reduces frame weight while allowing for a large range of crank compatibility in a modern press fit system. Smooth shifting that is easy to set up is no accident. Designing shifting requires a detailed approach. Small details have a huge impact. Cable paths are engineered, from the lever to the brake or derailleur, to reduce aerodynamic drag with no sacrifice in performance. Different frame designs call for different steerer dimensions. We use the right dimension in the right application.